I just recently counted my Botox patient visits. It’s a fun number to count. However, I do know that quality is more important than quantity. But this number shows that I have some experience and that some patients trust me. I used to think that 80 patients a month was quite nice back in the year 2014. I’ve hit a few months now where I see over 200 patients per month. For example in March 2018, I saw 246 Botox patients, and in August 2018, I saw 214 patients in that month for Botox. Thank you for trusting me with your Botox. I reached the Diamond level injection status – which is top 4% of Allergan accounts. I’m happy to report that I injected 66,597 units of Botox for the year and almost 900 syringes of filler – I guess I should have just worked harder. I pledge to continue to work harder to improve my skills. Thank you to all those who trusted me with my surgical skills to inject Botox. As expected, Allergan is going to raise their prices on the purchase of Botox for 2017. This is an annual price increase which I’ve come to anticipate. I’m writing this on 12/18/15. These are basically notes to myself and eventually may be used as a guide in 2016 to help the Botox representatives in their national Botox database. Allergan/Botox likes to do studies like that. Data below from Brilliant Distinctions. However, Brilliant distinctions isn’t used by all of our patients, and thus the data may be somewhat short; meaning that the actual numbers are probably higher than the ones reported below. I have also found that many of my patients are from Doctors Medical Center in Modesto, CA. And in general the majority of my patients are nurses. I think this stems from my history of working at DMC much more than Memorial Hospital in Modesto, CA. 3774 units of Botox used. 98 Botox patients seen (this would include Juvederm/dermal filler patients who received Botox. But this would not include Juvederm/dermal filler patients who did not receive Botox). 65 Syringes of dermal filler used. How much Botox do I use per day? 269 units. 4.6 syringes of filler used per day. What’s our average units of Botox used per patient? 38.5 Units. 38.51 U of Botox is the average number of units used per patient over the 14 days of data collection. 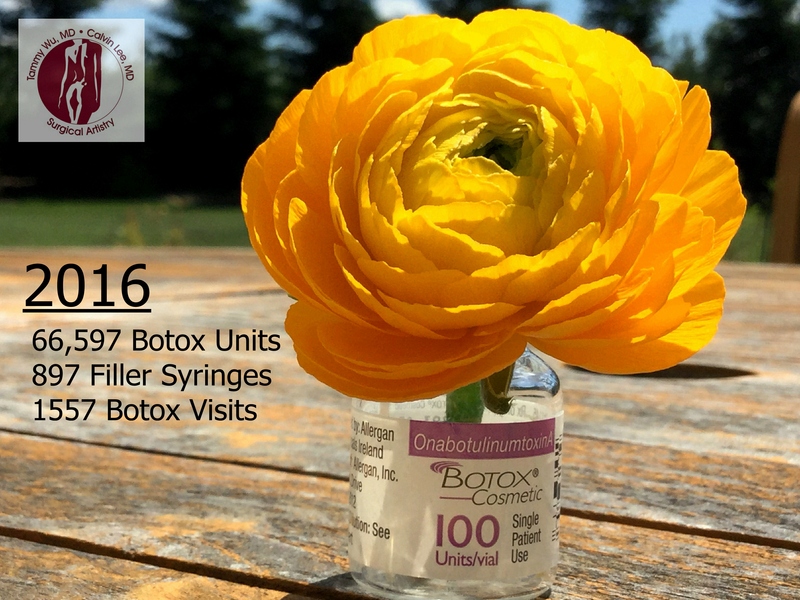 38.27 U of Botox is the average number of units used throughout my entire year of 2015 up to 12/18/15 – calculated from 1340 Botox visits and 51,283 U of Botox used for those 1340 Botox visits. How much Botox is used per month? 42 Bottles. As a rough estimate, if I take 51,283U of botox used and divide that by 12 months. I would get 4,273 U of Botox used per month on average which would be 42 bottles of Botox a month on average. How much filler do I use per month? 54 syringes per month. As a rough estimate, taking 659 syringes of fillers used this year up to 12/18/15 and divide by 12 months, I would get 54.92 syringes per month. Visit us in Modesto, California for Botox. I don’t have December yet, but comparing Jan-November, I am lucky to be able to present a 149% change from last year in our Modesto BOTOX usage. I like to make reports for the Botox company, so they can see how the team is doing. I welcome the representatives and Allergan managers as part of my Surgical Artistry team and I want them to feel good about their efforts. I appreciate them very much for all the help they have given me and my patients. Just having fun with an old spreadsheet (2003 Excel – and I use a flip phone with no text messaging). Above graph shows the cumulative monthly Botox usage and compares 2015 to 2014. I am missing the month of December because it isn’t over yet. But I think it shows a nice trend – and it shows a 149% change (or a 49% growth in the usage of Botox). I have other Botox statistics from previous posts – be sure to check those if there is any interest under the “Botox Statistics” category section. And there is also another Botox blog besides this one which I sort-of stopped updating recently. In that blog I have this valuable Botox statistics report for 2014. I think sometimes this is called running totals. So if I look at March’s Botox data – that means the total amount of Botox I used from the beginning of the year to March. I felt very proud of 2014’s usage of Botox and at times felt that it couldn’t be any better. But 2015 proved that we can continue to improve! I have been an avid user of Belotero Balance for a few years in my cosmetic injection practice. 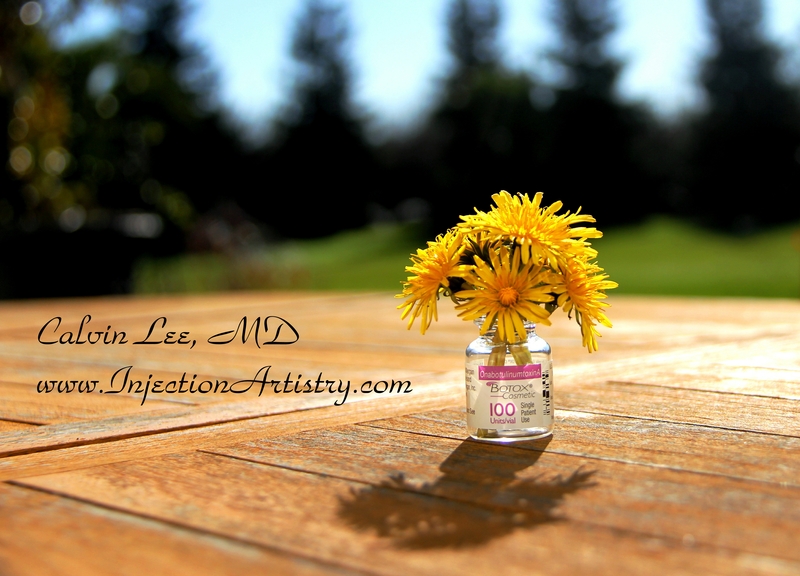 Last month, April 2015, I injected about 4640 units of Botox and 75 syringes of fillers. 20% of the fillers I use is Belotero Balance. Much of what I do with Belotero is considered off-label FDA use. I am a frequent user of cannulas in my filler practice which includes the spectrum of Juvederm available in America and Radiesse. Juvederm dermal fillers in my Modesto practice include: Juvederm ultra, Juvederm ultra plus, Juvederm ultra xc, Juvederm ultra plus xc, Juvederm Voluma xc. I spend half of my clinical time personally performing cosmetic injections. I think I would be a bit busier if I spent more time on the Botox/filler side of the practice but I have plastic surgery assisting duties (my wife is a plastic surgeon, I am a general surgeon with trauma experience), a small cosmetic vein practice, and I also have an acupuncture practice which I love. After clinical hours, I am an administrator for our plastic surgery practice. I feel that I spend about 80 hours per week on our practice clinical+administrative. Of course there is room for me to be more efficient. I use a cannula and lay down Belotero for tear troughs. It works well for many tear troughs, and flows very well through a cannula. I’ve learned over the years to tell the patients that the duration in that area seems to average about 6 months. Of course this varies from patient to patient. I was a Juvederm user for almost all tear troughs before and ran into some trouble with swelling for a few patients. I still run into some swelling issues with Belotero but it is much less. It also works well for building up a little bit of the cheek above the zygoma laterally. Some fine forehead lines are amenable to Belotero filling. It is especially useful for those patients who want a smoother forehead with less brow drooping which can happen with overzealous Botox use on the forehead. It is also great for those wrinkles in the eyebrows. Belotero is wonderful just as a small touch to a slight downturn in the oral commissure. I’m not talking about the entire marionette line, but just the corner of the mouth and injected superficially. I need to be careful with the bruising in this area but it works well for some of the fine crows feet lines. It works well with Botox to battle those light static lines. Those horizontal lines – belotero becomes very labor intensive but well worth it. The patients get a bit of bumpy look for the first 2-3 weeks, but it settles and the Belotero works well to integrate into the skin. Or some call it decollatage area. These crinkles thicken up well, with belotero for many patients, I have to bend the needle to get the angle I need. It really does look like it integrate into the skin after two weeks. Yes, this is useful, and can at times reduce bruising because the needle doesn’t go in very deep. A wrinkle is injected several times about 2 mm apart and the needle just barely goes into the skin. For most of what I like to do with Belotero, except for the tear troughs, I am injecting very superficially. If I’m threading the needle through (ie, in neck lines), I can see the needle through the skin. This superficial needling probably has an added collagen induction characteristic for the patients – similar to microneedling. Superficial injections lead to longer lasting effect. I have found that deeper injections in areas with movement seem to eat up the Belotero in 3 months. But 5-6 months can be derived from superficial injections. I like Belotero and would recommend it as part of our creative set of tools for beauty. It’s like a very thin paintbrush. And Belotero works well with other fillers in a layered approach. 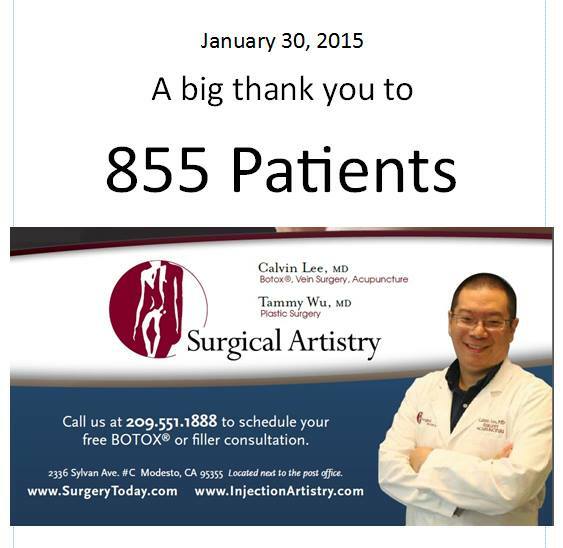 855 different Botox patients seen as of 1/30/15. 2594 Botox visits. 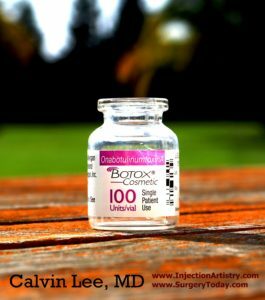 How much Botox Experience does Dr. Calvin Lee have? 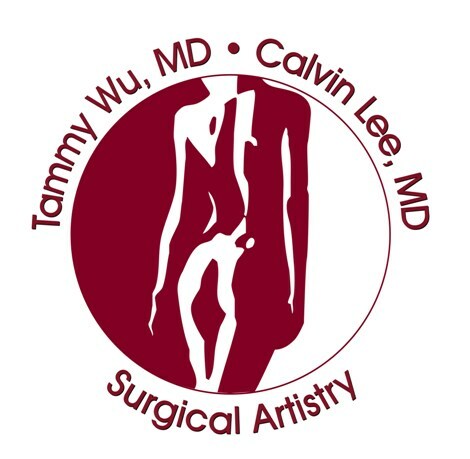 Dr. Calvin Lee is a board certified surgeon who has been focusing on Botox injections since 2009. We have made a few pages which shows some of our detailed Botox statistics at our Botox practice. However in this Botox blog, we present even more Botox metrics. It’s not my goal to be a super busy practice. I like to spend a good amount of time and attention for each patient. Quality over quantity! Amount of Botox purchased by Surgical Artistry in 2014 – 365 vials of Botox. My personal Modesto Botox injection statistics 2014: 503 different patients were seen for Botox in 2014. This is up from 374 botox patients seen in 2013. Fortunately, the Botox company has decided to form a frequent-flyer type program which gives coupons directly to the patients in the form of discounts for future Botox injections (or Juvederm or Latisse). This program is called “Brilliant Distinctions.” With brilliant distinctions, there is a computer portal which our Modesto Botox practice can access. We have been a member of Brilliant Distinctions since 2011. 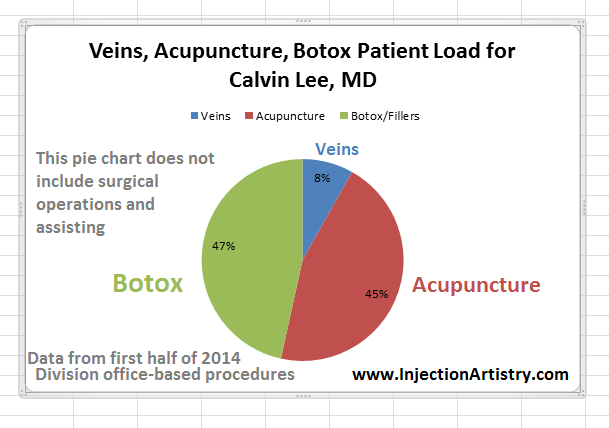 With these statistics, we found that Dr. Lee has seen 855 different Botox patients. These patients have visited the office 2594 times for Botox. Botox Touch-Up visits are not counted in this figure. Do many people in Modesto get Botox? I get this question from time to time. Usually from patients who feel that they are unique in getting Botox. I think Botox patients in general are relatively private about their injections. Thus, it might feel like an isolated event – getting Botox. But working in my office, it feels as if everyone in Modesto is getting Botox. 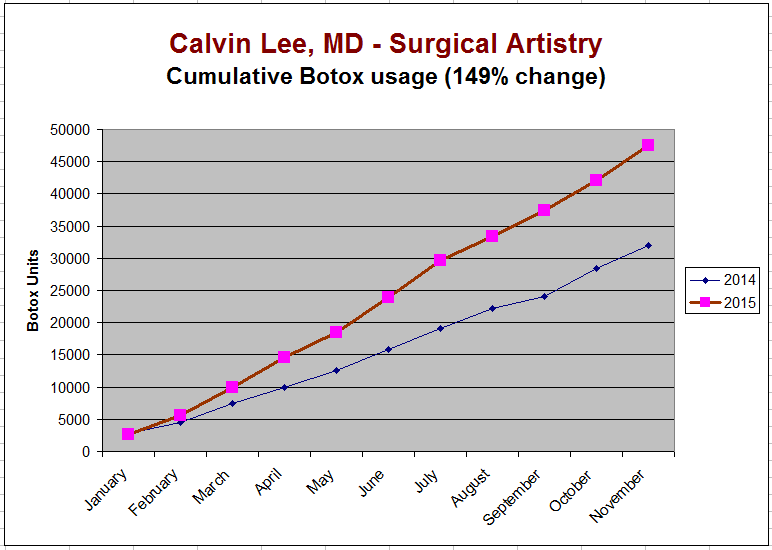 Visit my 2014 summary statistics regarding Botox usage in my Botox practice in Modesto. Highlights from that page reveals that: 503 different patients were seen for Botox in 2014. This is up from 374 last year. What’s even more impressive is that through my patients, I’ve been able to compile a list of other injectors in the Modesto area, and I have found over 40 injectors for Botox in the Modesto area. I made of list of Modesto Area Botox injectors. The list has 37 injectors on it. But there are a few who I haven’t exactly been able to identify, but through my patients, they are sure that they exist. Regardless, I hope you pick us for your Botox injections.